← Consumer Electronics Show (CES) 2016: Does It Affect My Purchasing Decisions? 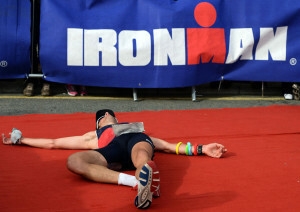 What Is Harder: An Ironman Or A PhD? I recently ran across a curious question on Quora: what is harder, completing a PhD or completing a marathon (a 26.2 mile run)? 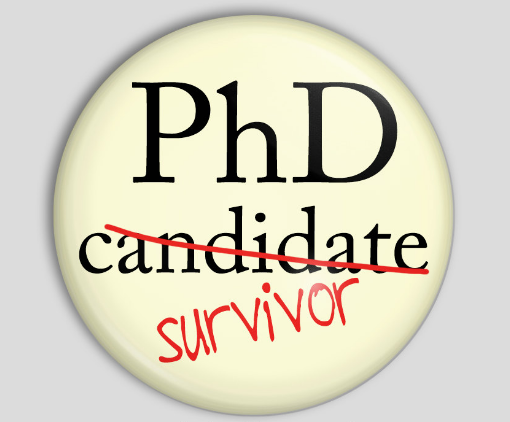 Having done both [ PhD, races ] , hands-down, the answer is the PhD – there is simply no comparison. What about Ironman races though? What is harder, completing a PhD or completing an Ironman (2.4 mile swim + 112 mile bike run + 26.2 mile run)? Having recently done an Ironman [ race report ] – a PhD is still harder, by far. The similarity between the two is that they both require long-term thinking and commitment. A PhD, in top-tier US science and engineering schools at least, typically requires completion of 3 distinct areas of work, tied together. The works have to be up to a certain standard; within that standard, they can be stronger or weaker with respect to each other. Similarly, an Ironman race consists of 3 sports, tied together by that one does them in succession, where each of the sports has its own time constraints (i.e., standards that must be met). An athlete has to do all three, at a “passable” level (to meet the cut-offs), but can do better in one and worse in others. In the case of the PhD as well as the Ironman, each of the three areas of work (scientific projects or sports) requires multiple years of effort – preparation, skill development, practice. Completing both the PhD and the Ironman signifies one’s ability to dedicate oneself to long-term pursuits, while at the same time also signifying one’s ability to achieve reasonable standards of excellence in more than one area. Psychologically, the challenges in the two are quite different. PhD, at least in sciences and engineering, is typically something that one does for a living. 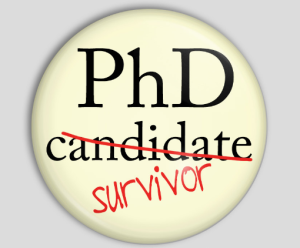 As such, on one hand, one’s identity gets entangled in the PhD research, which makes unavoidable setbacks far more challenging to deal with. Missing a paper deadline because of lack of progress often hurts far more than missing a race because of inadequate preparation or injury. On the other hand, exactly for the reason that a PhD is done for a living while an Ironman is a recreational pursuit that takes a backseat to one’s primary goals, willpower and self-organization play bigger roles in finishing the Ironman than in finishing the PhD. In a PhD program, there are typically structures in place that help one succeed; an adviser constantly asking for more data may be seen as an annoyance at times, but having him or her ask for results ultimately helps move things forward. An Ironman preparation is all on you (which is part of the reason why some people do well with Ironman coaches or clubs that provide some of the structure). The similarity, psychologically, between getting a PhD and finishing an Ironman, is that it requires pushing one’s boundaries and dealing with sizable amounts of pain. Aside from these particular similarities the two pursuits are, in my opinion, quite different. A follow-up question on which is harder would be whether achieving world-class level in a sport is harder than completing a PhD. I do believe there should be substantial similarities in these two pursuits. If I ever get a chance to ask somebody who has done both (such as Yoky Matsuoka) to compare the two, I will make sure to do so. This entry was posted in Achievement, Ph.D., Races, Sports, Triathlon. Bookmark the permalink.